With a title culled from a combination of the words art+artifact+panitikan (literature), Artipak opens on 31 January at the CCP’s Pasilyo Guillermo Tolentino (3F Hallway Gallery). 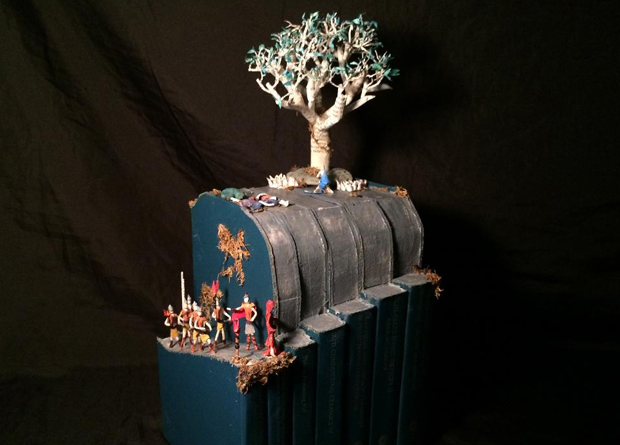 The Cultural Center of the Philippines presents Artipak, an exhibition of book sculptures by Sven Wilbur Lim. With a title culled from a combination of the words art+artifact+panitikan (literature), Artipak opens on 31 January at the CCP’s Pasilyo Guillermo Tolentino (3F Hallway Gallery). The artworks presented in Artipak hold on to a certain belief. The exhibit seeks to inspire those who dream, to show that the gift and talents given to us can be used in ways that we may not even begin to fathom, that it is not too late to pursue our dreams, that the world is excited to see our contributions. Artipak may be viewed until 3 March 2019, every Tuesday to Sunday, 10am to 6pm, and until 10pm on days with evening performances in the Main Theater. For more information, contact the CCP Visual Arts and Museum Division, Production and Exhibition Department at (632) 832-1125 loc. 1504/1505 and (632) 832-3702, mobile (0917-6033809), email (ccp.exhibits@gmail.com) or visit www.culturalcenter.gov.ph.